As a property manager or business owner, it will fall on you to address the unique needs that are specific to your industry. From libraries to restaurants, each property will require different elements in construction that can help to achieve the best outcome when addressing customer needs. Drywall installation is one key component that can provide comprehensive benefits and advantages for your business. 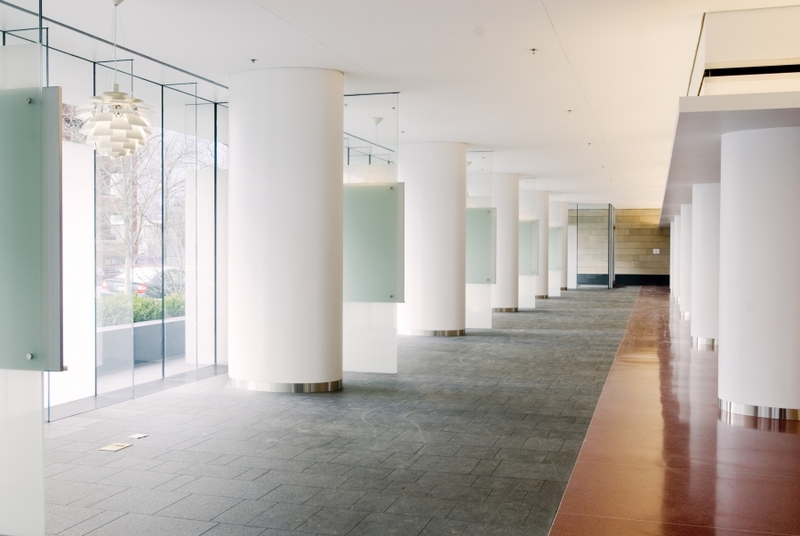 Since 1999, AZ Drywall Finishing has proudly served as your trusted commercial drywall contractors in Chicago. Our team works to deliver the highest level of professionalism when it comes to metal stud framing, installing drywall, texturing or painting, and more. What you’re left with is a building that is perfectly designed to match your needs and your budget. Our drywall finishers take pride in our quality, and when you hire the AZ team for new building, renovation, or addition, be sure to reach out to us for more information! Industrial drywall services may sound limiting, but our experts are here to help across numerous industries. Every business is different, requiring us to pay close attention to your goals and design demands for a successful future. Today, we’ll highlight the value of hiring an experienced commercial drywall company when it comes to meeting the specs for hospital applications. If you’re planning on an addition or new site, be sure to contact us for a fast and accurate project quote! One of the top priorities for any medical establishment is optimizing the air quality for patients and employees alike. Unfortunately, numerous studies have pointed to the concept that indoor air is more polluted than outdoor air. Poor air quality puts individuals with compromised immune systems at risk of illness. Most often, individuals with respiratory ailments are at the highest risk for health concerns. Much of the concern in the healthcare setting (and most industries) is the emission of volatile organic compounds (VOCs), including components such as formaldehyde that can create considerable health concerns. Modern hospitals are outfitting their facilities with products that produce minimal VOC off-gassing. Healthcare facilities are often stocked full of fabrics, medical products, paints, glues, furniture, solvents, and more. Numerous strategies have been developed to minimize VOC exposure, often focusing on high-risk patients and their need for healthful recoveries. Our drywall finishers can work with you to design a floorplan that relies on minimal hazardous components. 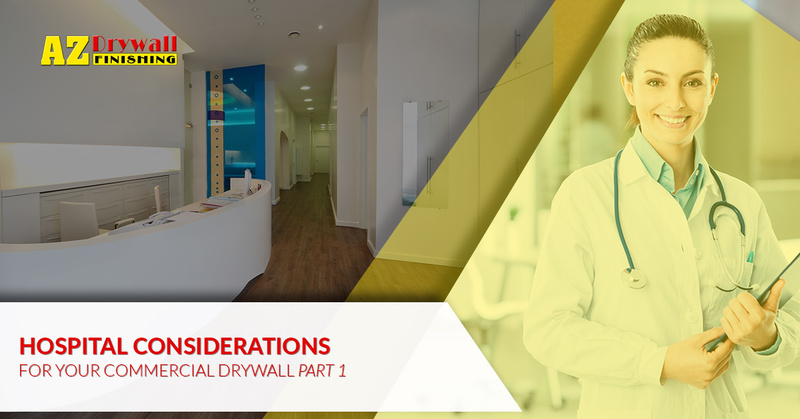 From source control to expert design and installation, AZ Drywall can help to create healthy outcomes for both the patients and providers in your facility. Hospitals rely on code compliance and enforcement in construction to ensure that the interior space is properly protected from sound transference. Apartment complexes, hotels, and other structures that provide overnight services for dense populations of people rely on superior acoustic control to offer peace and quiet regardless of what’s happening outdoors. When it comes to hospital demands, it is vital to focus on sound minimization for healthful results. Patients and staff alike can benefit greatly from a space that is designed to minimize the sounds of voices, footsteps, dropped items, and more. For medical professionals, distractions and miscommunications are more prevalent in settings that are loud and disruptive. The true value of sound control is more comprehensive than many people realize in the medical setting. Sudden freights or continual noise disturbances can both compromise the immune system, creating stress and anxiety in a setting where peace and tranquility are the top goals for a speedy recovery. Patients who are exposed to continual noise can develop problems such as increased blood pressure, vastly reduced comfort, less pain tolerance, and more. Nearby sounds can create a lot of stress as well. From altercations sourced from an irritated patient to emergency response teams flooding the floor, hospitals can prove to be the cause of anxiety for many people. AZ Drywall Finishing is here to help minimize the physiological and psychological effects that a loud medical facility can have on patients. Our team will work with you to develop the best acoustical outcome for your space, focusing on delivering cost-effective solutions that not only help to produce better results, they also help humans to live better. Next time, we’ll continue this topic by highlighting the importance of safety, durability, and renewability when it comes to drywall installation in hospital settings. If you’re in need of drywall contractors in Chicago that can meet your building’s exacting demands, be sure to reach out to us for assistance!